Bellafill Filler (Nose, Lips, etc) Cost, Problems, Lasting Effects? Bellafill, previously called Artefill, is a popular dermal filler comprised of tiny beads of polymethylmethacrylate, or PMMA. These are suspended in a gel of bovine collagen. A slightly altered version of this formula was available for more than a decade under the name Artecoll. Once injected into the skin, the Bellafill solution fills in fine lines and facial wrinkles. The microspheres of PMMA also stimulate the body’s own production of collagen, a key structural element within the skin. This is a popular method for filling in the deep lines running from the corners of the mouth to the nose. Bellafill is also used for filling in other types of facial lines or wrinkles as well as non-surgical nose jobs and lip augmentations. Good candidates are adult men or women who do not have any active acne, rashes, or infections near the injection site. Before the injection, the doctor will perform an allergy test; only those who are not allergic to bovine collagen can undergo injections. However, most other adults in good overall health can get Bellafill injections. Many doctors recommend that patients try temporary dermal fillers first, because the results of Bellafill last much longer than those of other dermal fillers. Ideal candidates have already tried temporary fillers and are sure that they want a permanent change. It is best for filling deeper lines, rather than areas with thinner skin, such as ‘crow’s feet’ lines around the eyes. Several weeks before using Bellafill, your doctor may require an allergy test to ensure that you are not allergic to the bovine collagen found in the injection. If there is no allergic reaction, you can proceed with the treatment. First, a numbing cream is applied to minimize any discomfort. Then, through a very thin needle, the Bellafill solution is injected. The injection pattern and amount injected into each location depend on the goals of the procedure. 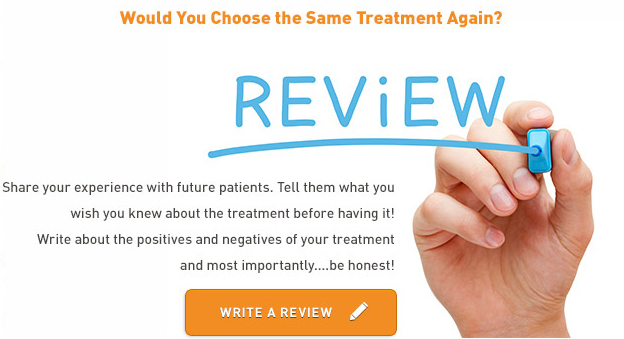 Most patients require only one treatment session to achieve the desired results. The treatment typically takes ten to fifteen minutes, depending on the number of injection sites. Although non-surgical treatments are considered low risk, there are some possible complications that patients should know about before making the decision to undergo Bellafill treatments. These include mild bruising, redness, or swelling around the injection site. These side effects usually subside within one to two weeks. Less common risks include itching or changes in skin sensitivity. In addition, there is the risk of allergic reaction to the bovine collagen, particularly if an allergy test is not conducted prior to the injection. After the procedure patients can return to their normal daily routine immediately, with no downtime. Injectable dermal fillers are often known as ‘lunchtime face lifts‘ because of the limited time required. For the first few days, patients should avoid rubbing or touching the treated area, which can cause the Bellafill to migrate out of place. The effects of the injection are seen immediately. 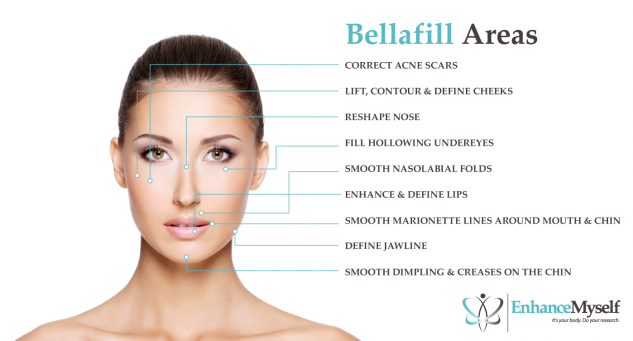 Although in general the effects of dermal fillers are considered temporary, one advantage of Bellafill over similar products is that it is the only dermal filler to be considered permanent. On average, the cost for Bellafill injections are around $1,000 per syringe. More than one syringe may be needed depending on the goals of the procedure. While this cost is higher than many other dermal fillers the results last longer, reducing the need for repeat visits and leading to lower costs over time. In addition to the details of your procedure, the cost is also dependent on the doctor chosen and the geographic area with more experienced doctors and bigger metropolitan areas often leading to slightly higher fees. As with most cosmetic procedures, the cost is not usually covered by health insurance. However, many doctors offer payment plans or financing to make it affordable.